In Myanmar, the social contract linking the average citizen to government has been damaged by decades of top-down military rule. People understandably do not trust government, or think that they benefit much from it. They have been conditioned to feel that government has little interest in their basic well-being. As such, there is a pressing need for government in Myanmar to rebuild trust and demonstrate value. This not a contentious observation. The National League for Democracy (NLD) won the November 2015 election by a landslide, largely through their promise to undertake widespread reforms to improve the performance of government – making it fairer and more accountable, and ultimately more responsive to meeting the public’s needs. The challenge for the new government is finding ways to begin that can deliver tangible results and do so fairly quickly. 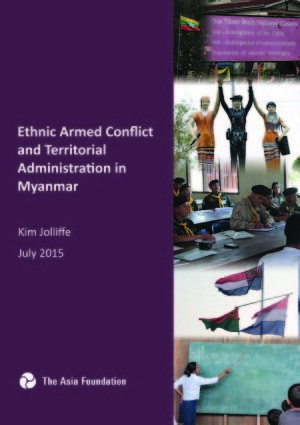 Since 2011, Myanmar has seen significant changes to how it governs its states and regions. There are now 14 state and region governments with their own chief ministers and parliaments. While still limited in power and needing further reform, state and region governments are at least a start toward pushing governance closer to the people after decades of centralised military dictatorship. However, below the states and regions, governance continues to be provided primarily through the local offices of Union ministries. Currently, Myanmar has no “third tier” of local government, just Union and state/region governments. As the NLD assumes power and starts crafting its reform agenda, a primary concern should be how the Myanmar public can be better supported by government, particularly through improved local social services and more government accountability for public funds. This means building stronger, more responsive governance systems, with greater representation and accountability, at the township level or even lower. This article was originally published on Myanmar Times, May 3, 2016. Matthew Arnold is the program director for The Asia Foundation in Myanmar.